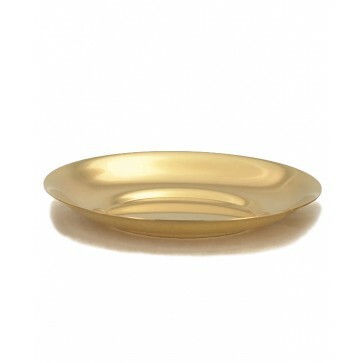 24k Gold Plate Dish paten. Height 7/8". diameter 7 3/8". Well diameter 4 1/4". Dish Paten has capacity to hold 100 Communion Host. Measures 7/8" in height, diameter 7 3/8", well diameter 4 ¼". Personalized engraving available, maximum 20 letters for $20.00 additional letters, please add $ 1.00 each.